Lizards and deserts just go together. When you have a porous house, the lizards freely come and go, and you live together in a kind of tolerant existence. There were several types of lizards: geckos, chameleons, and monitor lizards (as in BIG lizards, google it), and then lizards that I don’t know what they were called – slimy lizards, striped lizards, paper-eating lizards, and sewer lizards. 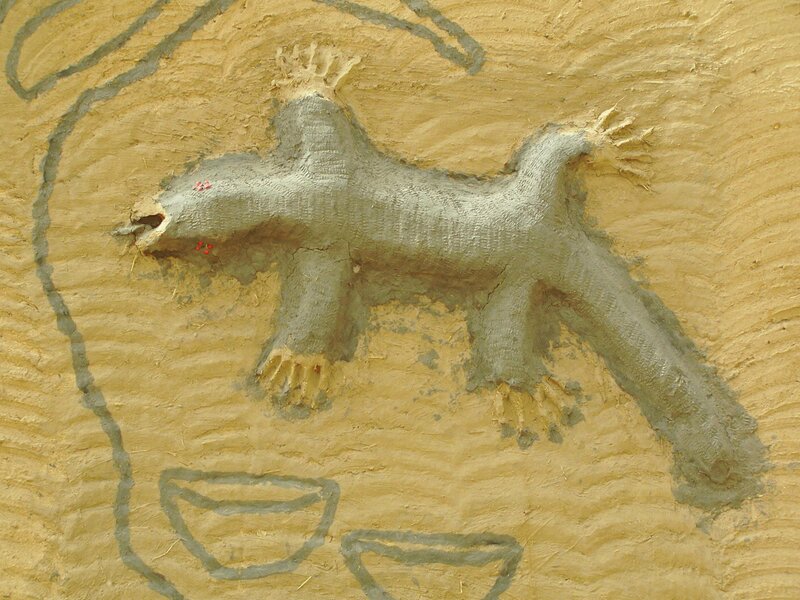 I viewed the lizards with an evil eye; the children saw things quite differently. 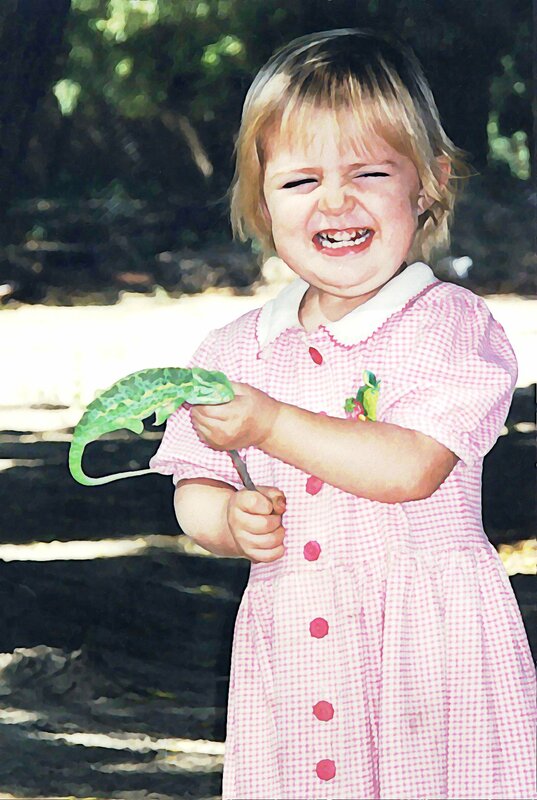 The lizards provided my children with boundless entertainment. I had several physical encounters with lizards. Once, I got too close to a 10-inch lizard outside, and he, in trying to escape me, jumped on ME! I did an amazing twirling dance that my family thought was hilarious. If we found chameleons, we made pets of them for the day. If they were the paper eating, sewer kind of lizards, we dispensed of them – rubber band bullets, catching them, and getting the dog inside to chase them. 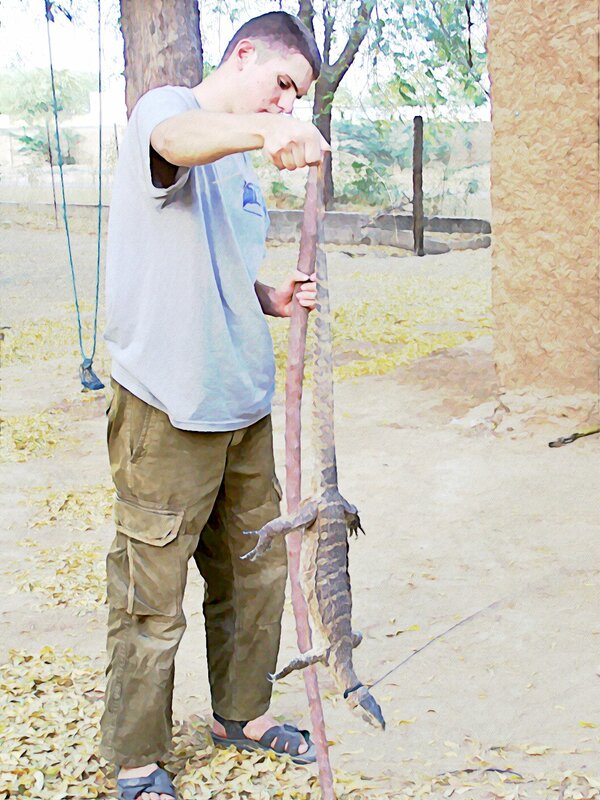 Clay would scare up a lizard with a stick, and Brownie (the dog) would chase it. I hated the paper eating ones because I could hear them munching on my books. At night, because we were one of the few houses that had lights on in the village, our screen doors and windows would be covered with lizards enjoying the bugs that were attracted to our lights. One good thing about lizards, they do eat insects. We saw a lizard eat a scorpion. He ate the body up to the stinger, then stopped and snipped off the stinger. One night Clay told me he would not sleep in his bed. It had lizards in it. I checked, no lizards. Besides, we had mosquito nets, and that was protection enough. The next night, same thing. “I feel lizards in my bed, Mama.” I checked, no lizards. So to prove to him that there were no lizards, I took the whole bed apart. I flipped up the foam mattress, and there, under the mattress, were fifteen lizards…keeping warm in the cold weather. Monitor lizards are two to three feet long, like a small crocodile with a long blue tongue. The people thought they had special powers, so we avoided killing them to not offend the people. That meant that when they invaded our space, we had to catch them. Believe me, they were as terrified as I was when we met face to face in the bedroom. One afternoon during nap time, I heard glass crashing and breaking in the pantry. I couldn’t imagine!? But one look showed a two foot monitor lizard on my shelf, knocking my mason jars off with his tail as he tried to figure out how to get out! Usually, one of our dear African friends would come and help. They would grab the tail and hang on, dangling it to keep it helpless. We caged these guys until we could take them far away and release them to the wild. Then the cage would be circled by lots of curious children. The door opens. The lizard comes out…and chaos reigns.